John McCain always said he’d go down fighting and so he has, dickering from his deathbed over CIA nominee Gina Haspel and pre-emptively uninviting President Donald Trump from his funeral, then leaving as a legacy some fierce final words for the leader of his party, who is now a political enemy. 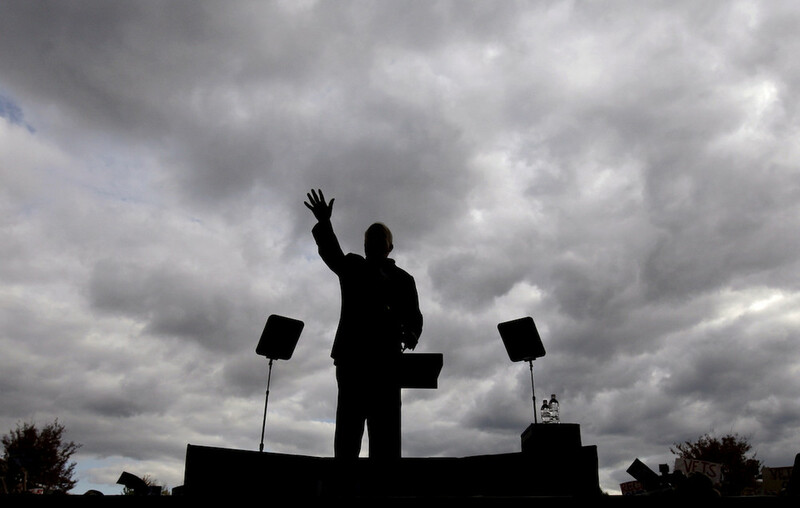 All Trump displays is “a reality-show facsimile of toughness,” writes the six-term Arizona senator and former GOP presidential candidate who for a generation of Washington politicians has defined genuine toughness, in his forthcoming memoir. The irony of McCain’s curtain-closing contretemps with the president is that it is clearly Trump himself who has inherited McCain’s mantle as the leading Republican maverick in Washington. Both men have often taken on the party orthodoxy across an array of big issues, with Trump running as the ultimate populist outsider in 2016 and spouting apostasies on trade, immigration and foreign policy; and McCain doing so on just about everything at one point or another during his long career. Both are known for being irascible and often bad-tempered, and unsparing toward enemies and rivals, even in their own party. 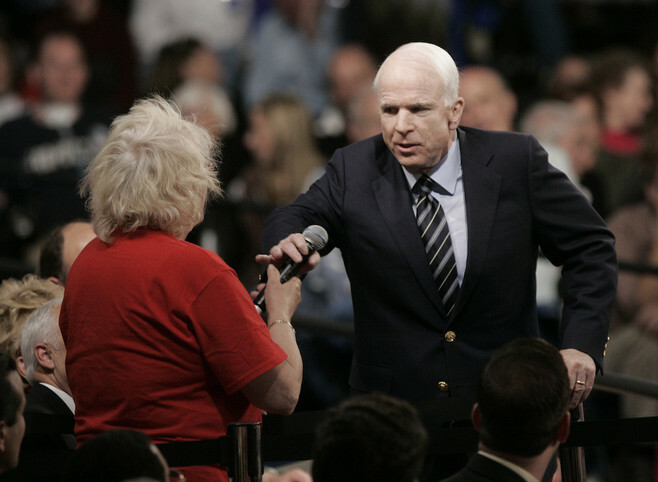 Indeed, during McCain’s first run for president in 2000 he managed to enlist only a handful of his 53 Senate Republican colleagues to support him over George W. Bush, and some cited his volcanic anger and congenital impatience (traits that McCain insists he has since reined in) as a reason. As one GOP senator told me back then, “I didn’t want this guy anywhere near a trigger.” The two politicians even share some views on the proper use of American force in the world and the perils of palliative diplomacy—McCain opposed the Iran nuclear deal as fiercely as Trump, for one. The highlight reel of McCain’s discord with U.S. presidents is long, especially in foreign policy. Even as a first-term congressman in 1983, McCain defied a president he said he admired, Ronald Reagan, over the question of deploying U.S. Marines to Beirut. 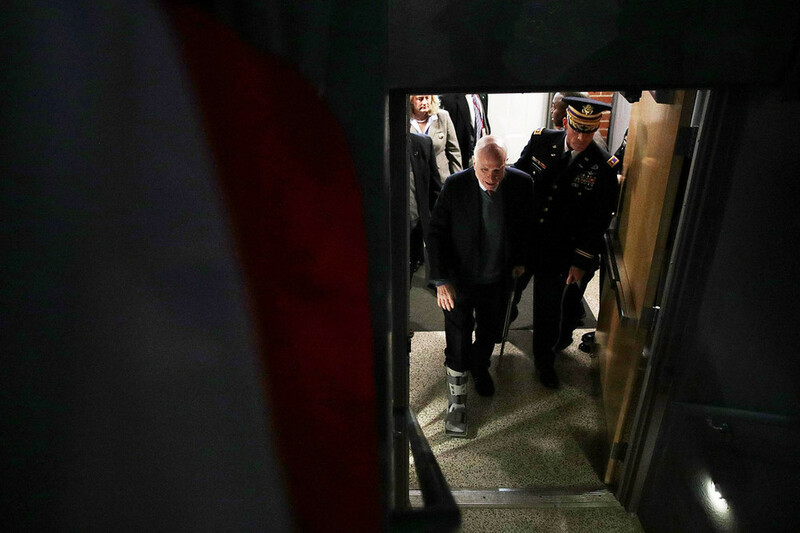 The mission, McCain said, simply wasn’t clear enough. McCain’s top aide and the co-writer of his memoirs, Mark Salter, later explained his thinking to me: “What in the world are a few hundred Marines doing [there] but making themselves targets?” (Tragically, months later 241 U.S. personnel died helplessly as just that: targets in a barracks.) For similar reasons, McCain took on another Republican president, George H.W. Bush, saying he was leery of committing U.S. troops to a ground war in the desert after Saddam Hussein’s tanks rolled into Kuwait in the summer of 1990 (though he ultimately voted in favor of the war). He also resisted what he saw as muddled interventions in Somalia and, initially, Bosnia—at least until the massacre of thousands of Muslim men—and voted against intervention in Haiti, though he later harangued President Bill Clinton for not being active enough in halting ethnic cleansing in Kosovo. All this led directly to McCain’s ardent—and very lonely—attempt to awaken George W. Bush and then-Defense Secretary Donald Rumsfeld to the growing Iraqi insurgency in the months after the 2003 invasion. 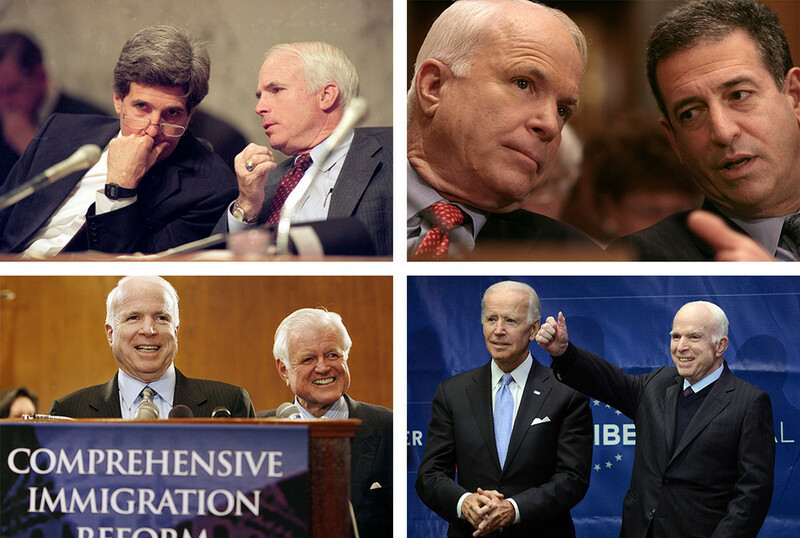 McCain became, in fact, the first supporter of a “surge,” years before Bush and other Republicans did. “I came out of the Vietnam War convinced that frankly we could have won, and we had it won,” he told me in 2014. 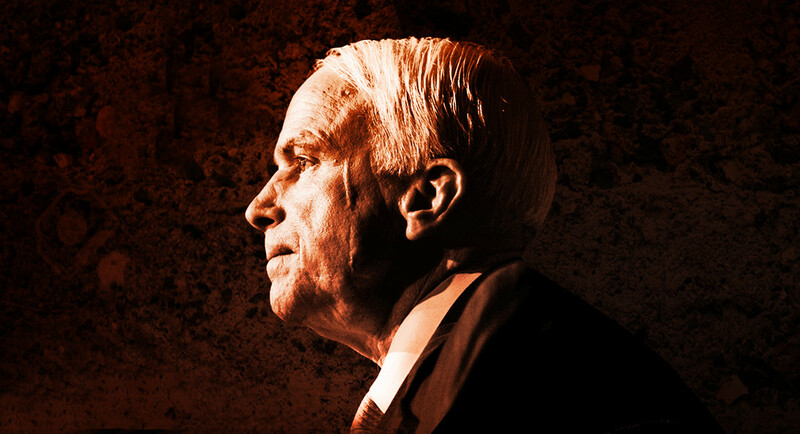 “Just as I believed we had the Iraq conflict won after the surge—and for which I sacrificed everything, including my presidential ambitions, that it would succeed.” As recently as 2014 McCain stood almost alone in a war-weary Senate in calling for American airstrikes against ISIS. As consistent as his hawkishness, however, has been his opposition to torture in war.McCain became the leader on the Hill in fighting the George W. Bush administration’s embrace of harsh interrogation techniques, including waterboarding—the reason for his opposition to the nomination of Haspel, a CIA careerist who is said to have been involved with such policies under Bush.